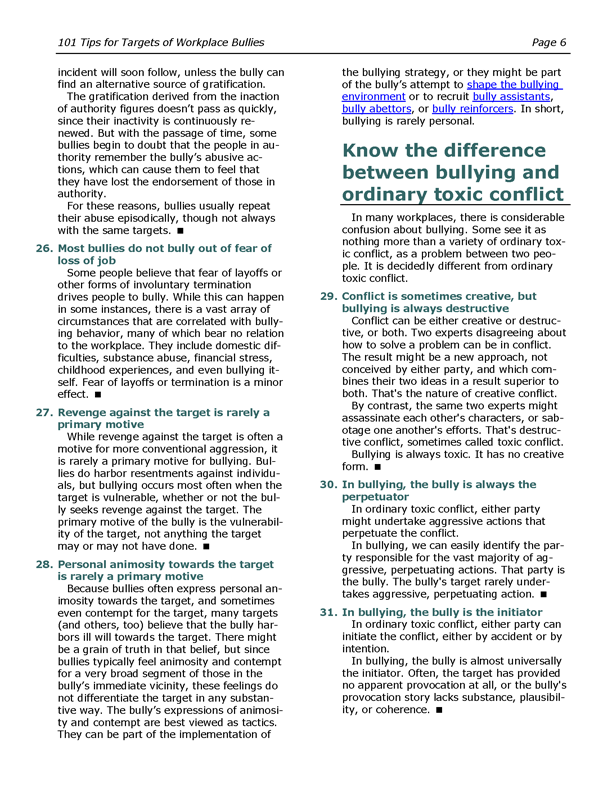 101 Tips for Targets of Workplace Bullies is a collection of short tips to help targets of bullies deal with the consequences of bullying, and eventually, to end it. 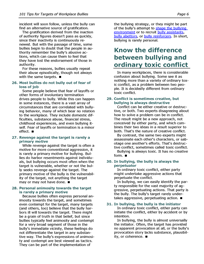 101 Tips for Targets of Workplace Bullies is filled with the insights targets of bullying need to find a way to survive, and then to finally end the bullying. It helps you avoid the traps and pitfalls that await you at work, and it guides you into new choices that can right the wrongs you have experienced. 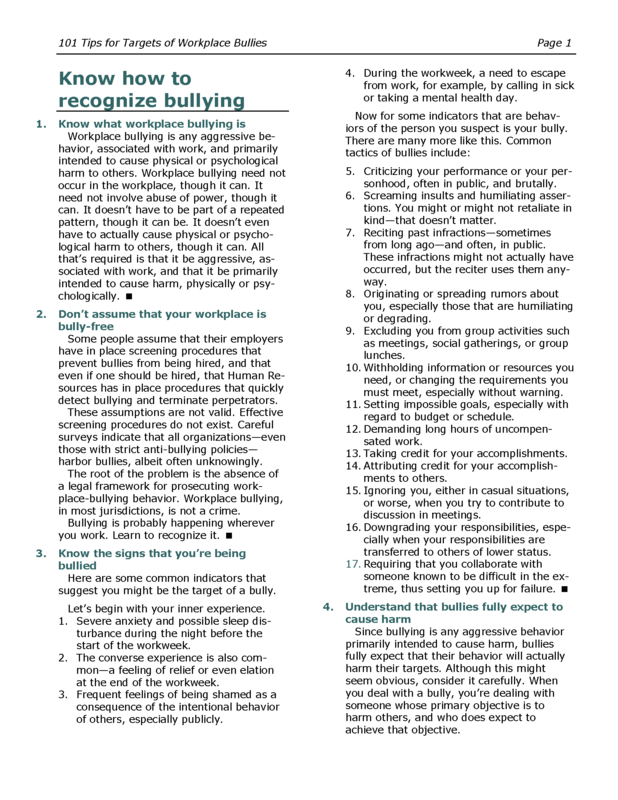 How To Orderorganization towards getting control of its bullies. It gives concrete, nuts-and-bolts methods for dealing with real-life situations. It's a collection of significant size — 34 pages (18,000 words) in all. That's about 1.5 times the size of Who Moved My Cheese ?. 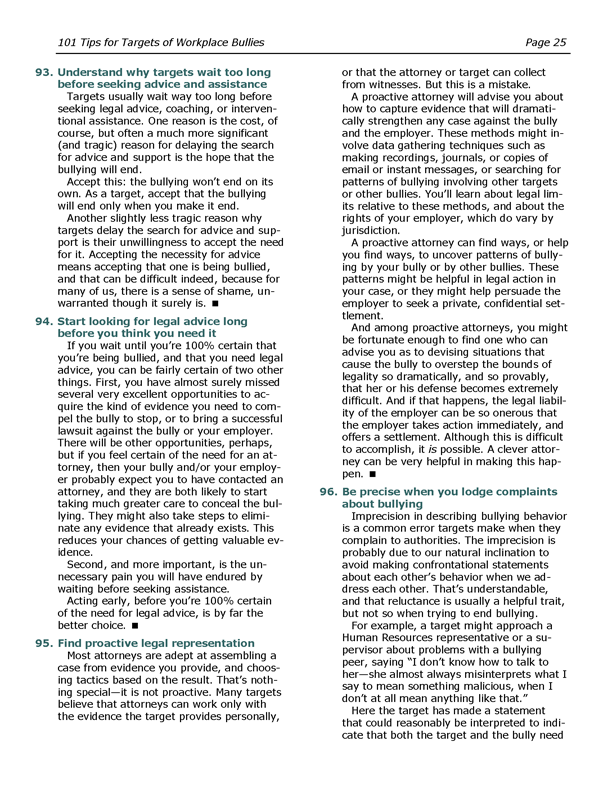 101 Tips for Targets of Workplace Bullies makes a wonderful and potentially career-saving gift for a friend, a colleague, or a spouse who faces the terror of working while being targeted by a bully. The investment is just — no taxes, no shipping or handling fees. This item requires Adobe Acrobat 6.0 or later or Adobe Reader 6.0 or later. Order 101 Tips for Targets of Workplace Bullies by credit card, for each, using our secure server, and receive download instructions by return email. Order 101 Tips for Targets of Workplace Bullies, 10-pack by credit card, for each, using our secure server, and receive download instructions by return email. Order 101 Tips for Targets of Workplace Bullies, 50-pack by credit card, for each, using our secure server, and receive download instructions by return email. Order 101 Tips for Targets of Workplace Bullies, 100-pack by credit card, for each, using our secure server, and receive download instructions by return email. Order 101 Tips for Targets of Workplace Bullies, 500-pack by credit card, for each, using our secure server, and receive download instructions by return email. This book has an ISBN of 978-1-938932-06-9. 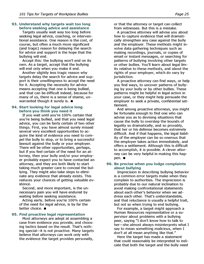 Here's a chapter-by-chapter summary of what you'll find in this tips book. 65Understand the paradox of the "easy target"